Click Here to register a team for the 2018 event. Click Here to register as an individual golfer for the 2018 event. Click Here to submit a $50 non-golfer donation or sponsor a $125 T-Sign to show your support for this fundraising event. Each year and with the significant support of those who support our fundraising events the Rockford Cosmopolitan Club continues fighting diabetes, as well as supporting many local non-profit organizations through our annual grant program. In the 2016-17 Season, our club donated over $75,000 to 30 local charities! 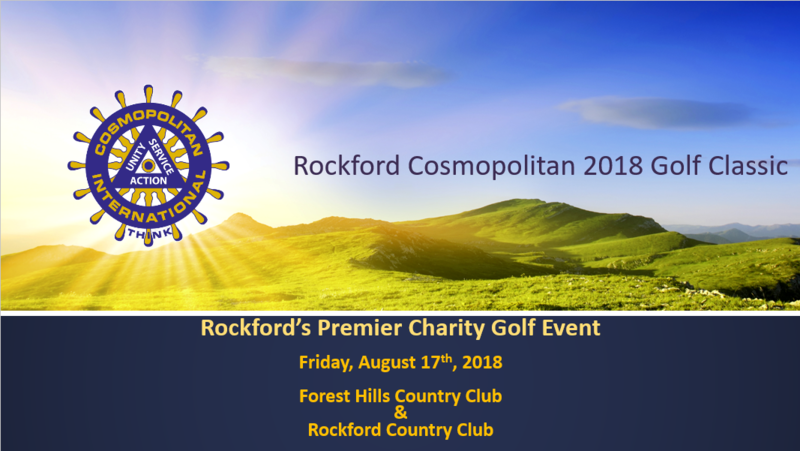 We have confirmed our golf outing at both Forest Hills CC and Rockford CC for 2018. Please save the date and mark your calendar for Friday August 17, 2018! Interested in being a sponsor? Volunteer? Suggestions or comments? Please reach out to our golf chair Chris Zion at CZion@firstig.com. We greatly appreciate your continued support and look forward to another great event!